Disneyland wait times, COMPREHENSIVE FOOD GUIDE with menus, restaurant reviews, hours, real-time food blog, events, showtimes, California Adventure, Downtown Disney, Disneyland Insider's Guide + EVERYTHING you need for your next trip to Disneyland! 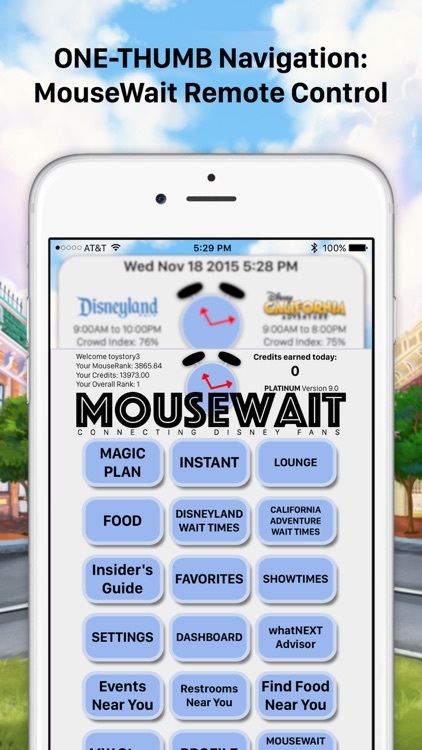 Join 3 MILLION users and find out why 15 out of 17 people use MouseWait as their primary Disneyland App. 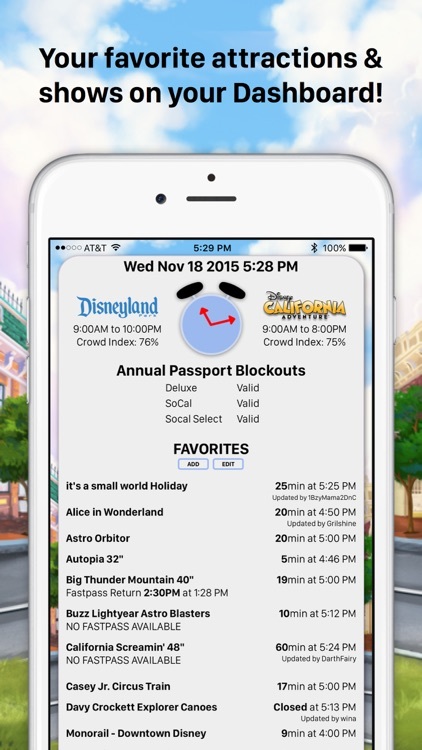 MouseWait is the most popular, critically acclaimed, and most updated Disneyland iPhone/iPad/Apple Watch/Apple TV App since 2009 with over 11,000 reviews. 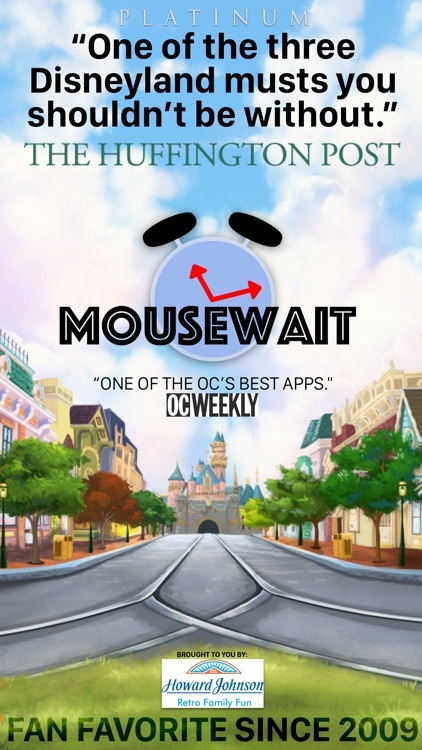 The Huffington Post acknowledged MouseWait as one of the three "Disneyland Musts You Shouldn't Be Without"
OCWeekly named MouseWait as one of the OC's best apps, "Whether you're a Disneyland Annual Passport Holder or a casual Disneyland visitor, this is a must for everyone." 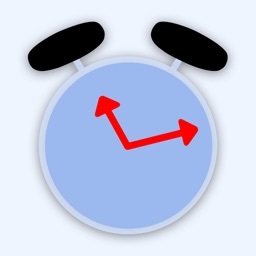 •New ONE-THUMB Navigation makes it easy to find all of our features, including MagicSearch, FAST! 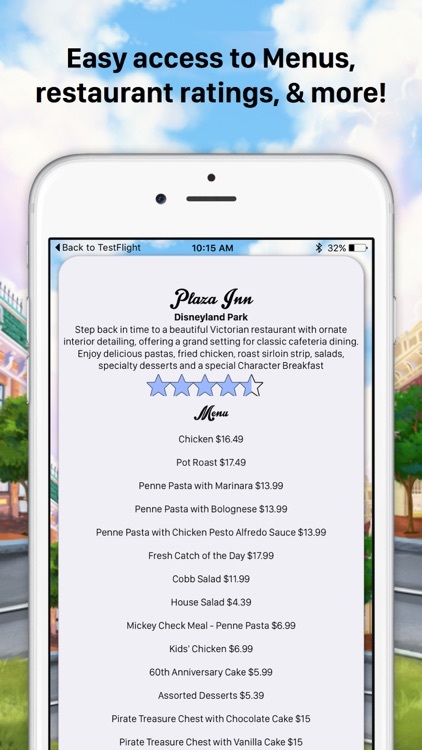 •Find restaurants and individual menu items with MagicSearch. •Make new friends with Disney fans worldwide in our family friendly, moderated social Lounge. 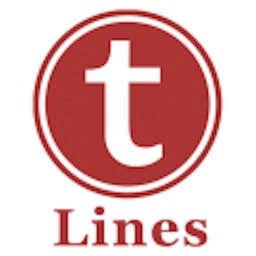 •Save time and money with tips and info you won't find anywhere else. 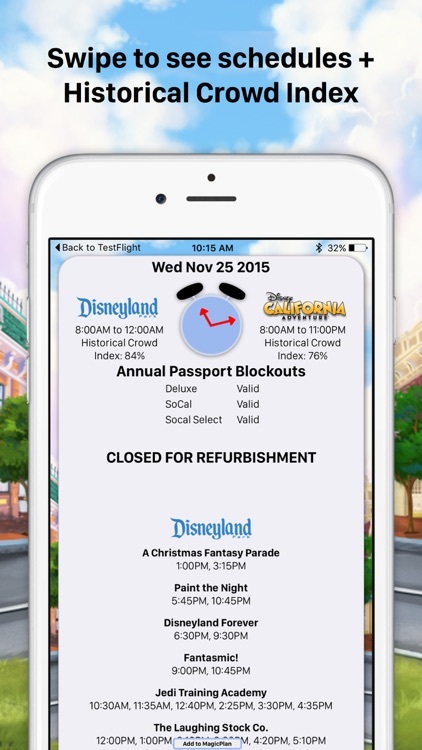 •See the most important info on your Dashboard including your favorite attractions, shows, and restaurants. •View your Favorites on Apple Watch and Apple TV. •Read MouseWait community reviews and get the inside scoop about all food at the Resort. 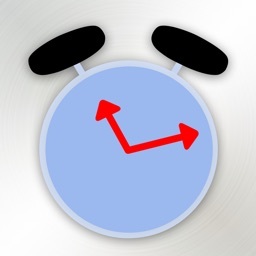 •Find attractions, restaurants and more through Spotlight Search. INSIDER'S GUIDE TO DISNEYLAND: Our revolutionary guide combines our experience (AP's for 22 consecutive years) with Apple's iOS, to bring you an interactive guide with insider tips, wait times, GPS, reviews, & more! 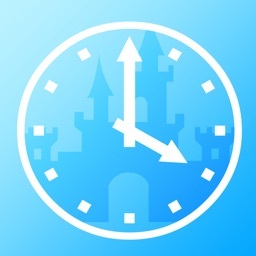 •HOW TO SAVE $100 AT DISNEYLAND: This will pay for the app many times over! Discover tips on how to save money at Disneyland. *If you're having a problem with the app or have feedback, email us at [email protected] - we can serve you better this way since we cannot reply to reviews. Download today to get INSTANT access to our world famous Crowd Index, MagicSearch Technology, INSTANT wait time feature, MagicPlan Calendar, and more! 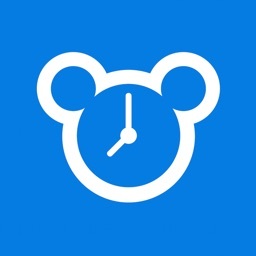 MouseWait is not affiliated with the Walt Disney Company.